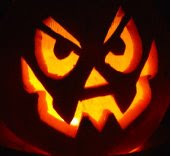 Before getting down to the business of Friday's Forgotten Books, I wish you all a Happy Halloween! Child #4 is uberly excited for this evening. She's dressing up as an angel. Dorothy the Dog will be a witch. And, now...a big obnoxious drum roll...Friday's Forgotten Books. My parents firmly believed in reading books aloud. Long past the time when we could read for ourselves. I think it's a great family activity. Certainly it spawns discussion.I really must institute it more with my own kids. Enid Blyton (1897-1968) was a British children's author who wrote A LOT of books. About EIGHT HUNDRED over her forty-year career! Not to turn this into a math post, but that's an average of TWENTY BOOKS A YEAR. Yowser! You might know her for her Noddy books or her Famous Five series. But our favorite read-aloud was the circus series: Mr. Galliano's Circus (1938), Hurrah for the Circus (1939), and Circus Days Again (1942). These books are about 185 pages and have line drawings. 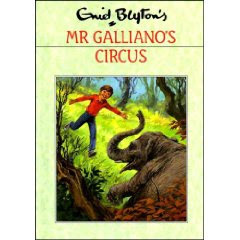 The Circus Series (or trilogy) begins with Mr. Galliano's Circus, where the protagonist is Jimmy Brown. The story revolves around Jimmy, his parents, his dog, Lucky and the others like Lotta, who work in the Circus. Lotta is a small girl who rides horses.The other characters include Lilliput, the man with the monkeys; Stanley, the clown; Mr Tonks, the owner of Jumbo the Elephant; and Lotta’s parents, Lal and Laddo. These books are definitely dated. I would imagine most of Blyton's books are. There has been some updating of language. For example, "golliwogs" has been replaced with "teddy bears." Also, there's an old-fashioned attitude about the circus books. Like stuff to do with the British class system and some racial stereotyping. And the plot moves somewhat slowly compared to contemporary children's fiction. Yet, there was something captivating. My sisters and I were excited each evening to hear the continued adventures of Jimmy and company. I think I'll try reading Mr. Galliano's Circus with Child #4. She loves animals and stories about them. And I'm curious to see if I can figure out why I loved the series. Hop over to pattinase's blog for links to other posts for Friday's Forgotten Books. Even though she's super busy this week, Patti organized this round-up early. That's how wonderful she is. My dear bloggy friend, Bina of Just Another Day, thank you for bringing this up. I'm sure you want one or a dozen in your home. Actually, you can order them in boxes of ten. This book makes a GREAT holiday gift. 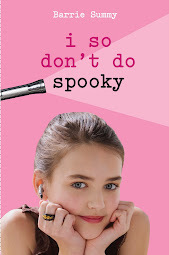 Not just for your middle-grade/tween readers (roughly ages 10-14), but even for that girly brother-in-law whose name you drew for the gift exchange. 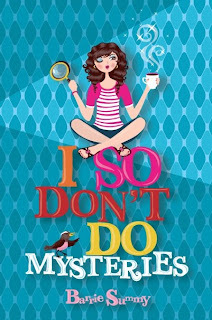 I So Don't Do Mysteries is totally available for PRE-ORDER now. Pre-ordering can save you money, especially because it's a hardback. Thank you for indulging me. This sales stuff is so not for sissies. In other news, this blog is getting a facelift. Not what you see here. I was just messing around yesterday instead of, ahem, running my errands. Which have all waited fairly patiently for me and are now snapping their fingers at me today. Quite frankly, my to-do list is so long, it could eat San Diego. I should just give up and phone a friend to meet for lunch and shopping. BUT before I engage in any activity not on my to-do list, I will definitely drive to my not-so-favorite grocery store. Why? 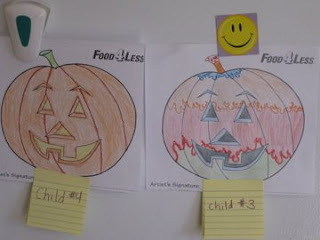 Child #3 and Child #4 have each colored a picture of a pumpkin for a grocery store contest. The lucky winner gets a $10 gift certificate to said grocery store. Oh wow. Such excitement. Of course, Child #3 and Child #4 have zero interest in spending $10 at this store. They are, however, extremely interested in selling their gift certificate to, uh, me. My Town Monday: The Gaslamp Quarter at Halloween. Boooo! 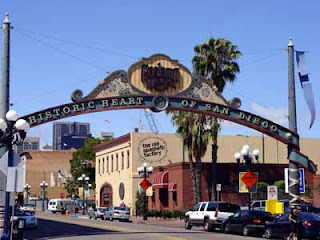 The historic Gaslamp Quarter in downtown San Diego stretches 16 1/2 blocks (from Broadway to Harbor and from 4th to 6th Avenues). Its name comes from the many gas lamps lit here at the turn of the 19th century. This area is home to 94 historical buildings (mostly Victorian). Many of them are still used today as restaurants, clubs, and stores. Also home to Croce's Top Hat Bar and Grill. Owned by the wife of THE late Jim Croce, its got two restaurants, three bars, features local and national music acts. You've got the picture, right? Nice, upscale, trendy. Often pricey. In fact, the Gaslamp Quarter deserves its own My Town Monday post one of these days. We're somewhere between September 26 and November 1st. On a Friday or Saturday evening between 6:00pm and 1:00am. Or a Sunday, Wednesday, or Thursday, 7:00pm to 11:00pm. Teens line the street at Fourth Avenue and Market, waiting for their turn to enter The Haunted Hotel. For about $15, they wander down dark, shadowy halls, peering into spooky rooms. Each room features a different horror flick. Yikes. A veritable frightfest. Child #2 and some other high water polo players joined the throng of shriek-seekers Saturday night. Child #2 tried to convince me it really wasn't all that scary. Ha! I'm not fooled. 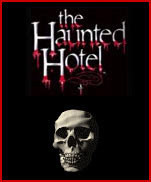 The Haunted Hotel is so not for me. Please visit Travis Erwin, the guy who spearheads My Town Mondays. He's got some music going on this week. Not to mention he'll have a list of links to other Mondayers. 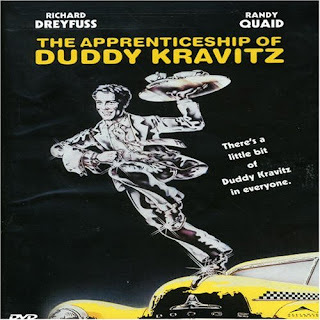 the movie, 1974, Richard Dreyfuss' first leading role! And many unknown Canadians in minor roles! Duddy Kravitz is a brash Jewish Montréal kid determined to make it - whatever "it" is, whatever "it" takes. Acting on his grandfather's maxim that a man is nothing without land, Duddy schemes and dreams to develop his first brainstorm, a lakeshore property in the Laurentians. Duddy is an attractive figure, bursting with chutzpah, but he is also driven to exploit others in his drive to succeed. 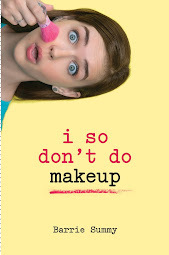 I spent a lot of time cringing while I read this book and while I watched this movie. Because Duddy does selfish things to get ahead. Selfish things which turn into horrible things as the novel progresses. That said, I couldn't put the book down. 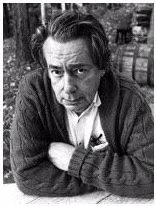 Mr. Richler said he wanted to write one book that would continue to be read after his death. He more than succeeded. Hop over to pattinase's blog for links to other posts for Friday's Forgotten Books. Thanks, Patti, for spearheading this! Last Saturday, the stars aligned (translation: the water polo schedule aligned/lightened up) and I made it to my local RWA (Romance Writers of America) meeting. I rarely rarely rarely (you get my drift) get to attend in the fall. Too many water polo games. Too many swim meets. So....it was quite a treat when I found myself zooming up I15, NPR blaring in my ears. The morning speaker was Barbara Samuel, who writes romance, historical romance and women's fiction. She's written about 25 books. Not to be sneezed at. Anyhoo, Barbara was at our meeting to talk about voice and finding your voice. Very interesting and useful. She had us do several quick writing exercises. 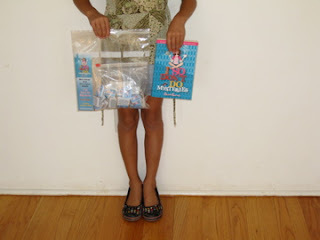 Such as, writing for two minutes about when you were seven years old and writing to a magazine picture. In general, I don't quick writing. I just don't. Why? No time. When I sit down to write, it has to count. That's why I outline. So I don't waste a bunch of time writing stuff that I end up deleting. But, I really had a good old time with the prompts. Even came up with a couple of scenes that I think'll work into book #3. I especially enjoyed the exercise where we jotted down 10 things that make you happy. According to Barbara, you can't make one of these lists and stay grumpy. I'm going to test that theory one of these days. 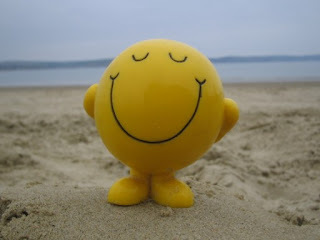 So, what would be on your Top Ten List of Things that Make You Happy? Tell us even a couple of the items. p.s. If you have a moment, click over to From Skilled Hands where Debra talks about Cups of Kindness, a group of artists in Ohio who are helping their regional foodbank. It's about time I did a MTM post on San Diego's Wild Animal Park. Why? Because this is the scene of the crime in I So Don't Do Mysteries. My children and I took A LOT of trips to the Park while I was writing this book. It was with great pleasure that I wrote off the mileage on last year's taxes! The Park is huge at about 1,800 acres. There are over 3,500 animals. And they have the largest CRASH of rhinos (yes, that's what you call a group of rhinos!) of any zoo. The Wild Animal Park is very open concept. The animals must love all the space. Forget about trying to see everything in one visit. Even with the monorail and tethered helium balloon, you'd still have to cover an incredible about of territory by foot in an attempt to take it all in. Much better to kick back, fit in a couple of shows, meander around and enjoy yourself. Once, I got to be the volunteer at the Bird Show. A falcon landed on my (well-gloved) wrist to peck at some sort of meat spread. Very cool. Although, according to DH, I looked terrified. Besides the regular daytime visit to the Park, you can spend the night. They provide the tent. And the meals. And lots of animal entertainment. Oh yeah, and the bonfire. A few years ago, Child #2 and I did a Roar & Snore. Total blast. Very weird, though, to know the nocturnal rustlings were WILD BEASTS WITH SHARP TEETH nosing around the fence. Anyway, I'd do it again in a heartbeat. And it's something you could plan ahead, if you knew you were going to vacay here. Please visit Travis Erwin, the guy who spearheads My Town Mondays. He has a really interesting post up this week about Umbarger, TX. Not to mention he'll have a list of links to other Mondayers. Imagine if one day your boss walked up to you and said, "Hey, I'm wondering if you'd be willing to help me and my family out with something? Something secret." Before you have a chance to answer, he holds up his hand like a stop sign and adds, "Wait. You should know that if you get caught, you'll be severely punished, thrown in prison or deported or even shot." This is, very roughly speaking, what Otto Frank presented to his four office employees around the spring of 1942 in Amsterdam. He asked them to hide him and his family, the van Pels family and Fritz Pfeffer from the Nazis in a sealed-off part of the office building. Miep (rhymes with keep) Gies (rhymes with peace) said, "Of course." This was her reasoning: "My decision to help Otto was because I saw no alternative. I could foresee many sleepless nights and an unhappy life if I refused. And that was not the kind of failure I wanted for myself. Permanent remorse about failing to do your human duty, in my opinion, can be worse than losing your life." Miep's job was buying the vegetables and the meat. In order not to arouse suspicion, she'd make several trips a day to the market, never carrying more than one bag. Miep also brought news, awful news, of the outside world to the people in the Secret Annex. And she spent a night in hiding, because she wanted to understand what the exiled people were experiencing. She helped for two years. 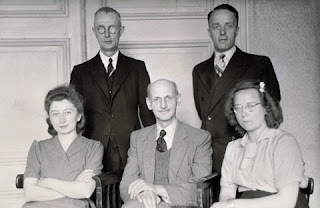 On August 4, 1944, an anonymous informant told the Gestapo about the hidden people. After they were deported. 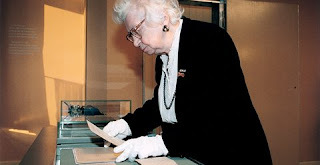 Miep gathered up Anne's diary and hung onto it until after the war at which time she gave it to Frank Otto. All the helpers were brave and selfless. In Miep's words: "It seemed perfectly natural to me. I could help these people. They were powerless, they didn't know where to turn. I always emphasize that we were not heroes. We did our duty as human beings: helping people in need." Sounds extremely heroic to me. 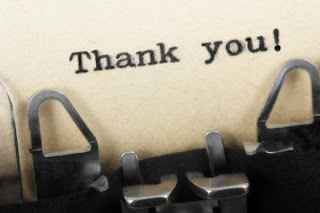 The following bloggers have graciously posted about a person or people they admire. Please pay them a visit. Larramie--Seize A Daisy who has put up a post as well as linked to all the October Ovation participants. Thank you. Reminder! Reminder! About our blog round-up! Tomorrow--Wednesday, October 15--is October Ovation. Yay! A day when you post about someone you admire. Could be a family member. Or a friend. A teacher, a librarian, someone famous. Just someone you admire. If you want to play, leave me a comment. If something's changed and you can't play (wah! ), same deal--comment me. Tomorrow, I'll post everyone's links. With color! And Larramie at SeizeADaisy will also post your links. Then if you guys could link to us, well, there'll be lots of linkage, and we'll all be able to find each other's posts. Should be inspirational. Which would be a good thing given these times we're in. And on a purely personal note, my sisters are driving down from Toronto to meet me and Child #3 in Detroit for the Speedo Cup! Holy water polo balls! They'll finally get to see him play. And think of the fun we'll have. And...think of the goodies they'll bring....ketchup chips, butter tarts, Tim Horton's coffee and their amazing senses of humour and joie de vivre! Oh my. I am besides myself with excitement. In-N-Out Burger was California's first drive-thru burger joint. It opened on October 22, 1948 in the LA suburb of Baldwin Park, CA. The owners were a husband-wife team: Harry and Esther Snyder. It's still a family-run business with no plans for franchising. The Snyder's two sons, Guy and Rich, learned the ropes from the ground up. When Harry died in 1976, there were 18 drive-thru locations. Rich, age 24 years, took over as pres and expanded to 93 locations before dying in a plane crash in 1993. Guy, as pres, expanded the company to 104 locations before dying in 1999 from an overdose of painkillers (sorry. I hated to add that sad detail to a pretty upbeat post). Then, in 2002, the mother and co-founder, Esther, became president. Now, there are about 202 restaurants with locations in California (by far the bulk of them are still here), Arizona, Nevada and even one in Utah. Guess which two items you'll never find at an In-N-Out Burger restaurant? A freezer and a microwave. Also, In-N-Out historically pays their employees more than minimum wage. It was up to $10/hour in California as of Jan. 2008. Lousy angle. Sorry. But the drive-thru, as usual, was busy. There were only so many cars I felt comfortable hopping in front of to get the shot. In-N-Out still has the same menu that they started with in 1948: hamburger, cheeseburger, double-double (double meat, double cheese), fries (from fresh potatoes), shakes (from real ice cream) and fountain drinks. AND AND AND... there is also a SECRET MENU. No kidding. It's common knowledge here in SoCal. You can order from the secret menu, and no one will even blink an eye. And, because I want my blogger friends to be in the know in case they're ever in our great golden state, here's the secret menu. Busy bee In-N-Out Burger workers who are, no doubt, wondering about the nutcase with the camera! And now for another bit of In-N-Out Burger trivia: Wrappers, cups and antenna toppers all....contain the book, chapter and verse numbers to bible references! I have eaten at In-N- Out Burgers at least a bajillion times. How have I never noticed this? I was forced IN THE NAME OF RESEARCH to go to In 'n Out today. And guess what was on the bottom of my fountain drink cup? John 3:16. Who knew? Please visit Travis Erwin, the guy who spearheads My Town Mondays. He'll have a list of links to other Mondayers. AND IN HUGELY EXCITING BREAKING NEWS: Child #3 and his team won a very very important water polo game today. So, they're off to Ann Arbor, Michigan to compete in the annual Speedo Cup for eighth grade and unders. It'll be the 12 top water polo teams from across the nation. Congratulations to Child #3 and the rest of his team. And can I just say...that was one incredible goal, kid! I buy a cute black 13-inch Mac notebook. Several people persuaded me to make the switch to Mac. I was tired of PC viruses. I wanted a laptop. It was light, a little over two pounds. I can't remember the exact price, but, say, roughly $1500.00. So, uh, pricey. I turn on my Mac. Grey screen. Nothing but a sad grey screen. And an arthymic clicking noise. Mac is FOURTEEN months old. Not even a toddler. I phone Apple Care who don't really want to talk to me because I don't have an extended warranty. However, we try some simple, but useless, maneuvers over the phone. I call my local Apple store. The have no appointments for about a week and suggest I call the local Apple specialist store. I jot down the number. I leave sick Mac with local Apple specialist store along with $94.39 which buys us an hour of bench-repair time. I get a depressing phone call later that afternoon to report Mac is very ill with a crashed Toshiba hard drive. In fact, he's so ill, he doesn't even realize he has a hard drive. At this point, Mac would have trouble recognizing his own mother. Around suppertime, transplant completed, Mac returns home with a state-of-the-art Hitachi hard drive. I turn on my Mac. Grey screen. Nothing but a sad grey screen. And an arthymic clicking noise. Ack. DH handcarries sick Mac to Apple specialist store while I pace the floors at home. Unbeknownst to me, DH pays Apple specialist store $104.99 for an hour of bench-repair time. Inflation. I call Apple specfialist store and talk with Dan. Diagnosis: Hitachi hard drive has crashed. But, it is under warranty (because young hard drive is not yet 3 months old). Mac will be ready to come home October 6 (Apple specialist store doesn't perform surgery (repairs) over the weekend. I argue against labor costs. After all, I already paid for the defective hard drive transplant. Apple Specialist Dan won't budge on reducing or dropping labor costs. I call Apple specialist store to learn Mac pick-up time. Apparently, Dan didn't leave any notes or any kind of record he'd talked to me and promised a healthy Mac by October 6. Mac will not sleep in his own bed tonight. I talk with Ron, Apple Specialist Manager. He explains that Mac's diseased hard drive must be returned to Hitachi. They will either refurbish it (very likely scenario) or send a new Hitachi hard drive. Mac will be in-patient for two weeks! Ack. Ron promised to call Dan, although it's Dan's day off, to find out why Dan promised healthy Mac for today and not for two weeks down the road. Ron is, apparently, unable to get hold of Dan. I proffer my opinion that I should not be paying labor costs again. This falls on deaf ears. Ron suggests I call Apple Care. His concern is that, with two hard drive crashes already under his belt, Mac may be more ill than we realize. Perhaps Apple will replace Mac's insides. I phone Apple Care who don't really want to talk to me because I don't have an extended warranty. However, I talk with a friendly guy named Jeremy who has a yummy Brit accent and keeps placing me on hold while he researches the situation. He may just be going for coffee breaks. Anyway, the long and short of it is, Apple MAY get involved if the hard drive crashes for a third time. Then again, they may not. Jeremy is appalled that Apple specialist store is charging me labor yet again when they sold me a defective hard drive. He's also appalled that Mac may wind up with a REFURBISHED hard drive. All in all, Jeremy is not helpful, although he is easy on the ears. Radio silence from the Apple specialist store. I will have to hound Apple specialist store to find out when Mac is coming home (today or in two weeks). Should I return to a, brace yourself for a four-letter word, DELL? (Or another PC laptop?) Anyone else out there with Mac woes? What's your laptop? Are you happy? Seriously. Input please. This is not actually me. But it could've been. On a much funner note, it's Ellen Booraem's launch week for The Unnambeables. 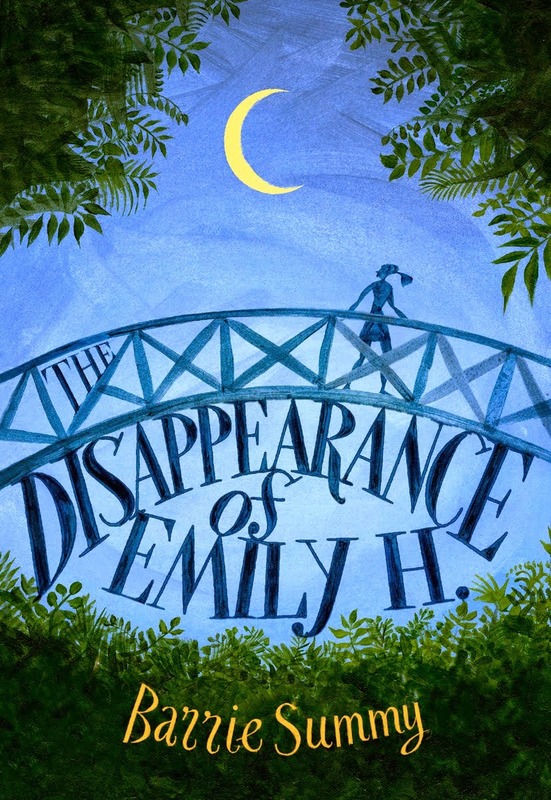 Go to the Class of 2k8's blog to learn about this debut middle-grade writer who so thinks outside the box. p.s. Sorry for the long whiney post. I'm just incredibly annoyed. In case you hadn't noticed. Every year, about 26,000 gray whales migrate 10,000 miles from the arctic seas (Bering and Chukchi Seas) to the lagoons of Baja California. And guess which coastline these incredibly large mammals swim along? You got it! They pass by San Diego from the end of December until March. You can see them as they travel southbound from the feeding grounds or on their way back north after mating or calving. Mothers and calves hang close to the shore. 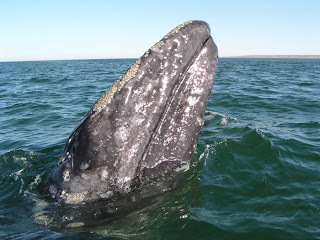 Gray whales usually travel in pods of two or three. They're pretty slow swimmers (about 6 miles per hour). They dive about 100 feet down for three to five minutes, then surface to blow. 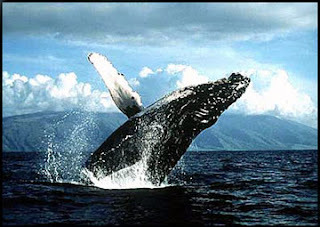 Gray whales grow to about 46 feet long (females are slightly longer. Ha! ), 36 tons and live to the ripe old age of 55 years. I don't know why, but I always like to know the length of gestation in various animals. So.....it's 12-13 months for the gray whale. Yikes. At birth, the calf weighs about 1200 pounds and is around 15 feet. More yikes. And the mother produces mile that's 53% fat. To put it all in perspective, human milk is 2% fat. Courtship and mating usually takes place in the warm lagoons of Baja California, Mexico. It's very complicated and often involves more than three whales of mixed sexes! That's all I can say. This is not that type of blog! Do I personally go whale watching? I pratically get seasick in the bathtub. I survived one really horrendous two-hour bout of seasickness on a whale watching excurision. Never. Ever. Again. Ever. That said, I've never had a visitor get sick. You did notice and are duly appreciative that I avoided all tacky jokes dealing with such expressions as "a whale of a time." So, Child #3 did a book talk at school. For his 7th grade language arts class. But it wasn't just any old book talk; it was on I So Don't Do Mysteries!!! He would not let me help him with his speech. Despite the fact that I happen to know ABSOLUTELY EVERYTHING about that book. Anyway, he trundled off to school with his speech on little recipe cards. In his backpack, he has bookmarks and miniature Hershey chocolates with my cover on them. 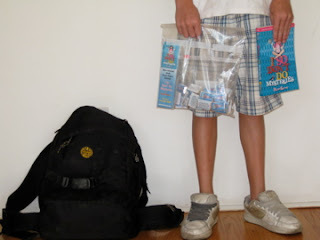 He's happy to hand these goodies out to the class. I'm on pins and needles all day. As you can well imagine. Me: So, about the book talk? Child #3: (stuffing a chocolate chip cookie into his mouth.) It went fine. Me: Well, did the class ask any questions? Or the teacher? Child #3: (opening water bottle) Yeah. Child #3: (swigs water) Just questions. I don't remember. Me: What do you mean you don't remember? It just happened today. Child #3: Well, everyone asked questions. About 300 each. Me: Wow. Can you tell me five of them? Child #3: Not really. I don't remember any of them. Me: Whaaat? Out of 9,600 questions about MY book, you can't even remember five? How about one? Can you remember one? Child #3: (shrugs shoulders) Sorry. Me: (hands tightly gripping the steering wheel) Honey, give me something. Anything. Child #3: (takes another longer drink) Well, I forgot to say the author's name. Me: (practically swerving off the road into the weeds) WHAAAAT? YOU FORGOT WHAT? 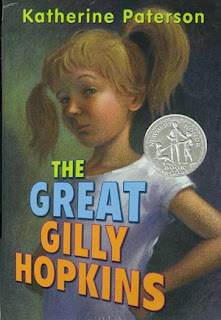 THE AUTHOR'S NAME? YOU FORGOT YOUR OWN MOTHER'S NAME? WHAT KIND OF A BOOK TALK IS THAT WHERE YOU DON'T GIVE THE AUTHOR'S NAME? I'll obviously have to resort to the tactics of all self-respecting author-mothers ... and email the teacher for the scoop. Here's Child #4. She couldn't bear to see her brother have his picture taken for the blog without grabbing a piece of the action for herself.